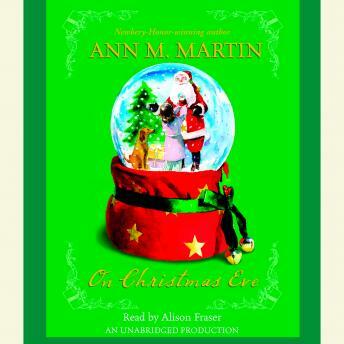 Tess McAlister truly believes in magic, and is convinced that this is the year she will finally meet Santa Claus. Tess has many Christmas wishes, but her most fervent wish is not for herself, but for a friend. Her faith in the season results in a Christmas Eve so wondrous, so sparkling, that listeners won’t be able to help but feel transformed. Like white Christmases and crackling fires in the hearth, On Christmas Eve portrays the magic and the spirit of hope that make the holidays merry.